Calls-to-action are a key tool for solid inbound marketing. You've probably been using CTAs to promote your landing page offers on your website. But are you using Smart Calls-To-Action to optimize (and customize) your website experience for your visits, leads, and customers? Smart CTAs are an extrememly effective tool for showing the right message to the right visitor at the right time. 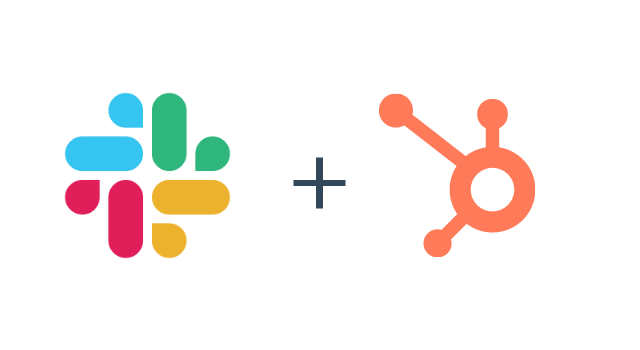 Available to customers with a HubSpot professional or enterprise account, this clever little tool is a way to serve dynamic content on your website. In a nutshell, your CTA content can change depending on the visitor viewing it. So, instead of showing the same CTA to everyone that goes to your site, you can display different CTAs to different users, based on whatever criteria you decide. There are many ways you can use Smart CTAs. Read on for a few of our favorite ideas. 1. Use Smart CTAs to improve conversion rates. Marketing isn't one-size-fits all. 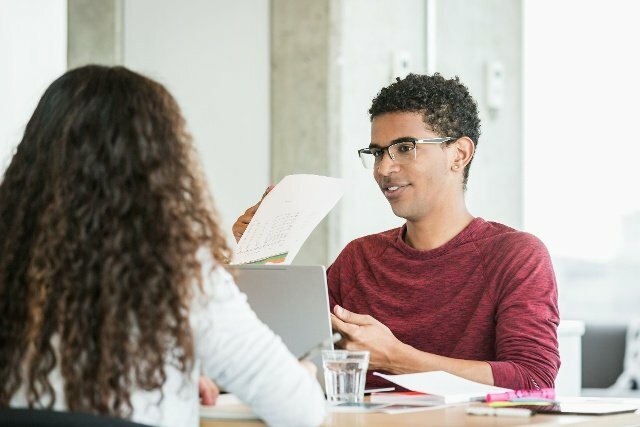 The more personalized your messaging can be for different audiences, the more likely someone will find it relevant to their unique needs and convert. For example, your first-time visitors might be more likely to click on a CTA for an ebook, but maybe your leads who are investigating your product or service would prefer to be offered a demo. If you know this already, you can build a Smart CTA to show the CTA that will work best for each respective group. They'll be more likely to click, because you are showing them what they want most. Typically, changing static CTAs to Smart CTAs will dramatically increase click-through rates. We looked at the data for over 93,000 calls to action created using HubSpot, and hundreds of millions of views over a 12 month period. What did we find? That calls-to-action targeted to the user had a 42% higher viewed to submission rate than than calls to action that were the same for all visitors. It's a no brainer. 2. Improve your website experience for your visitors. Have you ever visited Amazon.com to find a handful of books and gadgets that felt like they were hand-picked for you? It was a positive experience, wasn't it? Amazon took the time to get to know you, and use the information it knew about you to only show you items that you might enjoy. Smart CTAs give you a similar ability to customize the experience and delight your website visitors. Imagine the inverse: If a homepage promoted one ebook to every single visitor that visits the site -- including those who had already downloaded and read it -- would that be a positive experience? Probably not, and it's also a waste of a visit. That website could have given the person who already downloaded the ebook something new to read. If that website had been using Smart CTAs that was set up to show different ebooks based on what the visitor had downloaded already, that wouldn't have happened. 3. Delight your customers with Smart CTAs. You know who should never be shown sales-related CTAs? Your customers. Why not use Smart CTAs instead to show them a graphic that says a simple "Thank You for Being a Customer." Or maybe you could use the real estate to offer customer-specific content to help them get more value out of your product or service? We do this on our product page. Check out the below screenshot of our Social Inbox product page. 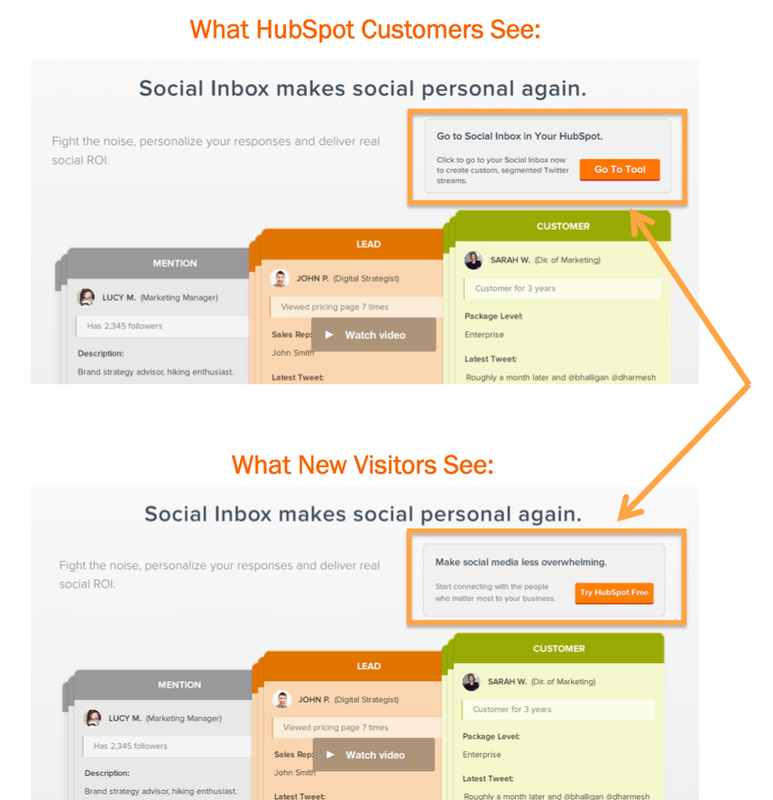 The Smart CTA on this page is displaying the variation just for HubSpot customers, and it's inviting them to try Social Inbox in their own HubSpot by clicking the image. We couldn't have done that with a normal CTA. Because we're using a Smart CTA, we can do something especially valuable for our customers. There are two types of Smart CTAs that you can build: lifecycle stage-based CTAs or a list-based CTAs. Here's how to build each. Lifecycle Stage Smart CTA: First (just so we're on the same page), a customer lifecycle represents the different stages a vistor experiences to eventually become a customer. So for example, Visitor, Lead, and Customer are three great lifecycle stages. With a Smart CTA base on lifecycle stage, you can select which lifecycle stage you want to specifically target, than then create a CTA that makes sense for that group to see. Easy peasy. 1. Pick CTA based on Lifecycle Stage. 2. Select a lifecycle stage you want to target. 3. Upload an image you already have, or use the CTA builder to create one in HubSpot. 4. Repeat for as many lifecycle stages as you want! If you don't specifically target one of your lifecycle stages, those individuals will see the "Default." List-based Smart CTAs: List-based CTAs work similarly, except can be customized down to the detail. Want left-handed people who love red M&Ms to see a certain variation of your CTA? If you're collecting that data on via forms and it lives on your HubSpot contact property, you could make a Smart list what that criteria and then target that list in your Smart CTA. 1. First, create a Smart List for the segment you want to target. 2. 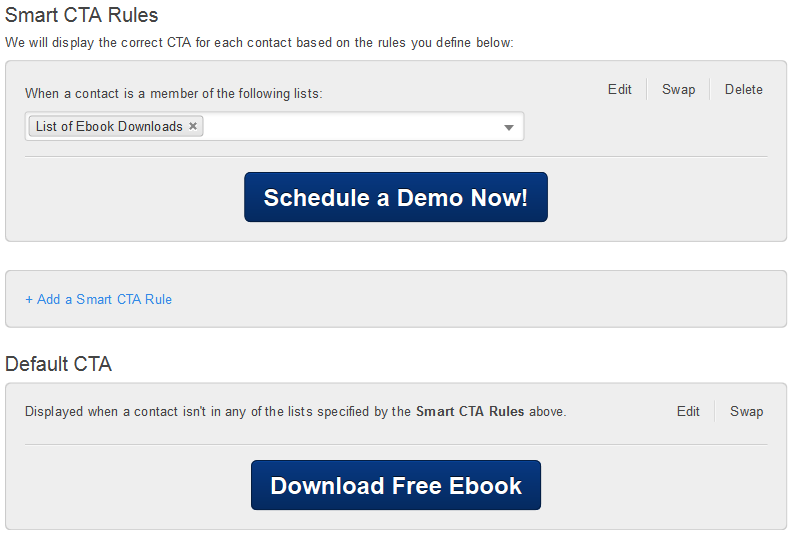 Then, go to the CTA tool and select Smart CTA based on a list. 3. Pick the list you just created as your targeting option. 3. And from here, the steps are the same as above. Upload an image you already have, or use the CTA builder to create one in HubSpot. 4. Repeat for as many lists as you want! Everyone else will see the default. Want to learn how to create Smart CTAs? Check out our Smart Call to Action user guide. 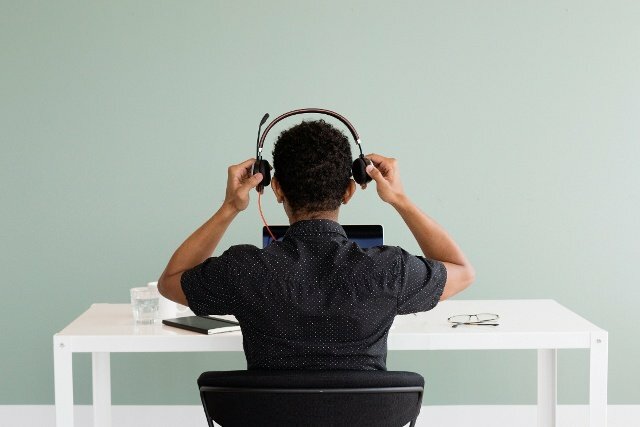 If you've been running inbound campaigns and using CTAs on your site, it's time to start harnessing the power of Smart CTAs to drive more leads, improve conversion rates, and delight your visitors. Just like everything with marketing, a bit of testing and tweaking may be required as you first implement them. However, it'll help you become a more efficient marketer and improve your website experience for others. We hope this article helps set you on the right path for creating successful Smart CTAs all on your own. However, if you ever want help creating your Smart CTA strategy, an option that is always available to you is additional consulting to get you where you need. We're here to help if you ever need us! 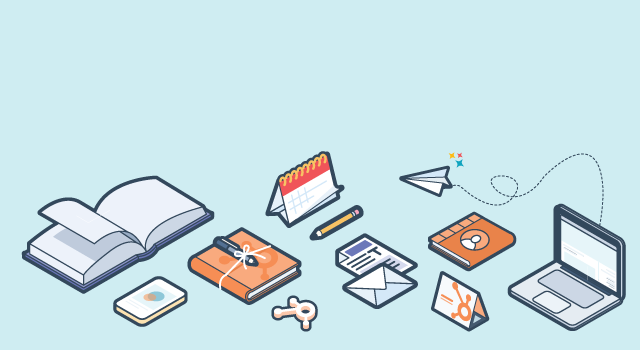 Now go increase your click-through-rate with some excellent Smart CTAs.